KayKiSpeaks.com: Photos of the Moment! 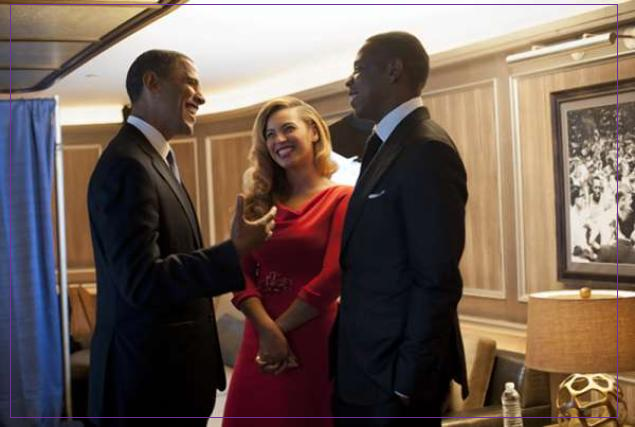 Jay Z & wifey Beyonce held a fundraiser for President Obama and his campaign this past weekend. Racking in a whopping $4 Million to support the President was an amazing accomplishment. In these photographs you can see how happy everyone was to come together for a great cause. And wow.. Bey is gloowwwiiing! Love it!